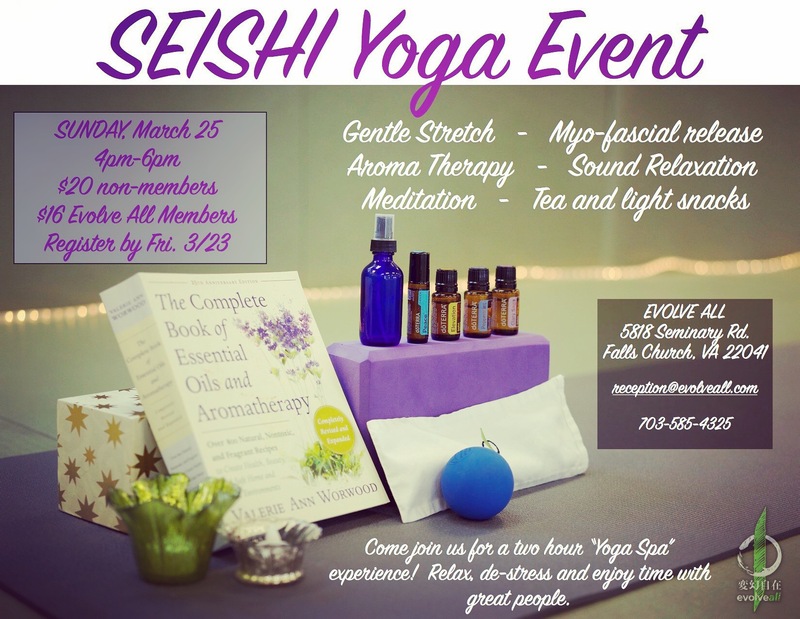 Please join us for a relaxing afternoon of gentle yoga, myo-fascial release, meditation, relaxation, refreshments and MORE! 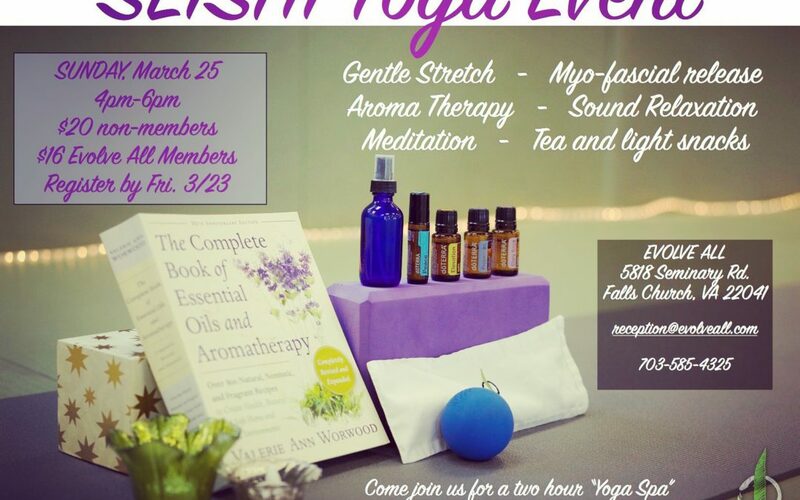 This two hour event will leave you feeling refreshed, relaxed and in good company – a great way to start your week! 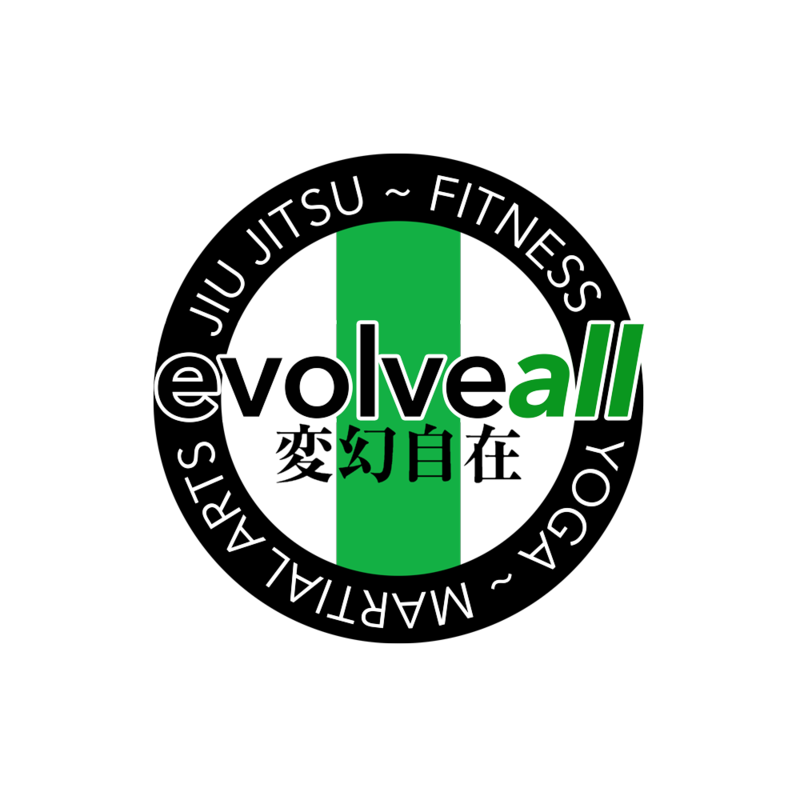 $20 for non-members/$16 for current Evolve All members for an all inclusive relax pass. Please register at registration@evolveall.com or call 703-585-4325 by Friday, March 23rd.